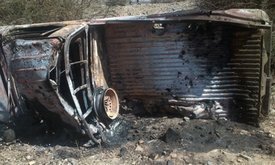 A Yemen military official on Saturday says that at least fifteen people were either killed or wounded when a missile from a U.S. drone struck vehicles traveling on a road in the central province of al-Bayda. Among the dead, according reports, are what the official claimed were targeted al-Qaeda militants traveling in two vehicles and also non-targeted passers-by traveling on the same road when the powerful U.S. bomb hit. The discrepancy in the early reporting does nothing to erase the fact that none of those killed in the bombing were given the opportunity to defend themselves or declare their innocence before being obliterated by what is assumed to be a U.S. Air Force drone operator controlling the aircraft from thousands of miles away. Yemen is among a handful of countries where the US acknowledges using drones to wage war against militants linked to al-Qaeda, though it continues to comment on the practice that critics say is both an affront to human rights and international law. As Common Dreams reported earlier this month, Yemenis say the constant threat of U.S. drones buzzing overhead and the fear of being caught up in an airstrike is not only a form of ‘psychological torture’ but it is actually making the security situation in Yemen worse, not better. Stand in Solidarity with Gaza: Donate Now! Although Israel's bombing campaign has now stopped, Gaza remains under siege and in the midst of a humanitarian crisis. To show our solidarity, we're joining Hudson Valley BDS, Middle East Crisis Response, and the Anti-Oppression Forum in asking you to give whatever you can toward emergency relief efforts in Gaza. If you live in the United States, please click the image above to donate to Gaza through American Friends of UNRWA, a tax-deductible organization benefiting the United Nations Relief and Works Association for Palestine Refugees in the Near East (UNRWA). Nine UNRWA teachers were killed and many UNRWA shelters were bombed by the Israeli military in the summer 2014 attack on Gaza. 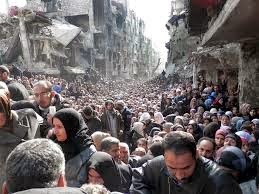 Through it all, the agency has been dedicated to providing humanitarian relief. Please give whatever you can to stand in solidarity with the people of Gaza. 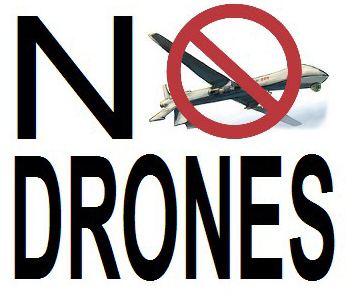 Sign Our Petition to Ban Drones in NY State!